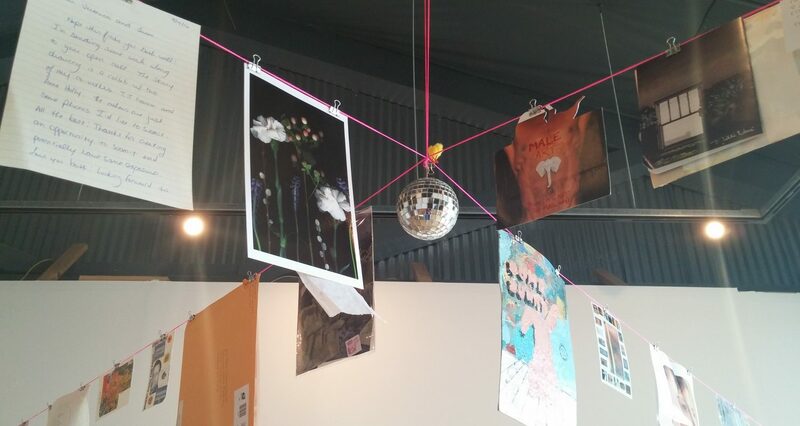 Dispersal Collective is a mail art project by Jason Berlin and Veronica Reeves consisting of open calls for mail art and accessible exhibition opportunities with the hope of garnering public participation in the mail art community. Dispersal’s mission is to cultivate the exchange of tactile ideas between individuals across physical distance with the hope of producing greater empathic connections. Mail art (also known as postal art and correspondence art) is a populist artistic movement centered on sending small scale works through the postal service. It initially developed out of what eventually became Ray Johnson‘s New York Correspondence School in the 1950s and the Fluxus movement in the 1960s, though it has since developed into a global movement that continues to the present.